Freightliner DE has been operating on its own licence throughout Germany since April 2012, specializing in heavy-haul freight trains. Above all, Freightliner DE is known to be the number one train operator in cross border transports between Germany and Poland. Freightliner DE is owned by Genesee & Wyoming Inc – an American railway transport group. Freightliner DE specialises in heavy haul bulk transports with block trains, but we are also present in other segments of the rail freight transport market. This will be the quote. It will say wonderful things about Freightliner EU Etiam gravida in ex sit amet ornare. Curabitur tempor sit amet mi sit amet iaculis. Nunc porta ut nisi sed fermentum. Sed at ante augue. Aenean bibendum blandit ex ut condimentum. Curabitur lorem nisl, imperdiet sed tincidunt quis, gravida sit amet risus. Nam imperdiet ultricies arcu sit amet dictum. Etiam gravida in ex sit amet ornare. Curabitur tempor sit amet mi sit amet iaculis. Nunc porta ut nisi sed fermentum. Sed at ante augue. Aenean bibendum blandit ex ut condimentum. Curabitur lorem nisl, imperdiet sed tincidunt quis, gravida sit amet risus. Nam imperdiet ultricies arcu sit amet dictum. 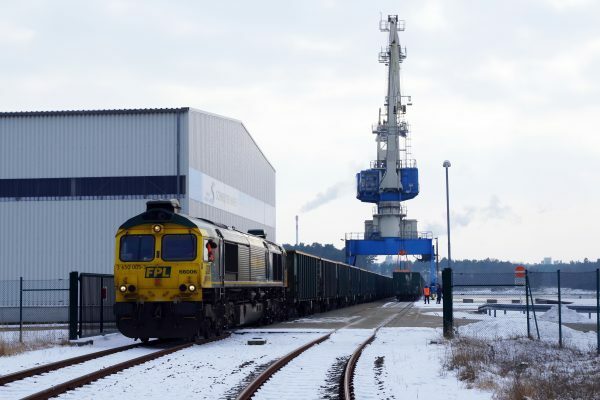 In February 2018, following the requests of a German customer, Freightliner DE transported the first coal train from Belarus to Germany.